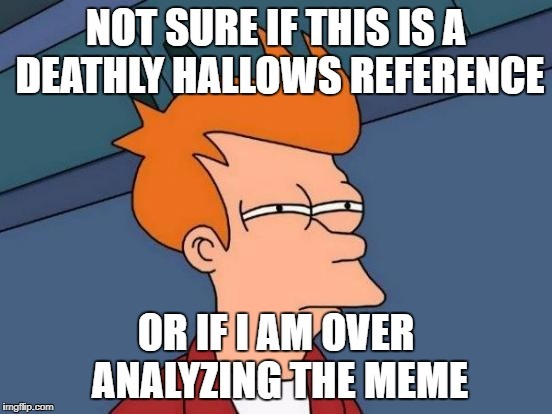 Is this a Deathly Hallows reference or am I over analyzing a meme? Deathly Hallows reference! I'm glad someone got it! THE ONE WHO DIED FOR POWER; THE ONE WHO DIED FOR LOST LOVE; THE ONE WHO GREETED DEATH LIKE AN OLD FRIEND.